The original, full accounting of a rebellion in the Heart of Dixie. A maverick, unionist district in the heart of the Old South? A notorious county that seceded from the Confederacy? This is how Jones County, Mississippi, is known in myth and legend. Since 1864 the legend has persisted. 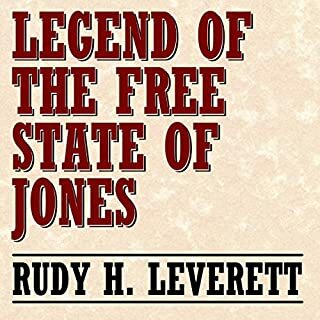 Differing versions give the name of this new nation as Republic of Jones, Jones County Confederacy, and Free State of Jones. Over the years this story has captured the imaginations of many. I like how it presents the facts so people can make their own decisions. It shows how Hollywood and descendants elaborated to make a story to their liking.